Retirement can mean the beginning of a new life. David Cyrs, founder and president of CYRS Wealth Advisors, helps you manage your retirement investments. Understanding the challenges people have with retirement investments and the plethora of often-conflicting information they’re exposed to, we are driven to provide personal independent, private wealth management and retirement planning. There is no cookie cutter solution, as everyone has different sets of circumstances, goals and resources. Some people are well funded and others are not. Some have pensions and others have significant stock equity based compensation factors to consider, or deferred compensation. The factors are broad, and guidance is more essential today than ever. A process we use follows six essential steps that can lead to improved financial outcomes. It does not minimize the effect of investment risk, but grounds people in a plan that can help serve their needs and buffer them against the effect of environmental factors outside their control. It can significantly help buffer them against making emotional or harmful investment decisions. This is not to say that a strong investment screening and management process is not an essential element as well. Because we certainly believe it is. Rather, a planning process incorporating goals and investment policies should guide investment decisions. Customizing an optimization process involves a lot of tradeoffs – integrating individual goals, resources and the unique risks a person faces in retirement. It involves driving variables through a process that results in an income stream, considers income and estate tax issues, and involves an assortment of investment vehicles including IRAs, employer sponsored retirement or pension plans, investment accounts, annuities and social security retirement income claiming strategies. People often seem surprised with the opportunities we present to enhance their retirement income. Some tradeoffs we review include investing for growth of capital versus preservation of capital, insured income/annuity income, increasing a gradually diminishing work schedule, dates to start social security retirement income and costs of healthcare or long-term healthcare that can wipe out lifetime savings. 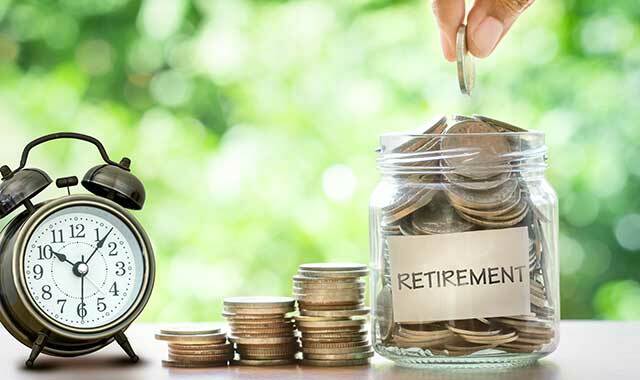 When resolving retirement investment asset application, the retirement income plan is influenced by spending assumptions, market rates of return, inflation, tax laws and life events. By exercising resolution of these considerations, the actual management of the investment assets becomes more sensible, more coordinated, with an overall goal of less worry. David Cyrs is the founder and president of CYRS Wealth Advisors, a specialty financial planning and wealth management office at 1111 S. Alpine Road, Ste. 701, Rockford. Call (815) 316-1111 or visit cyrswealthadvisors.com for more information. This entry was posted on Monday, October 9th, 2017 at 12:00 pm	and is filed under Personal & Financial Strategies, Top Posts. You can follow any responses to this entry through the RSS 2.0 feed. Both comments and pings are currently closed.